She'll never have to pull a cart again. Star spent her life pulling a cart for an Amish family. 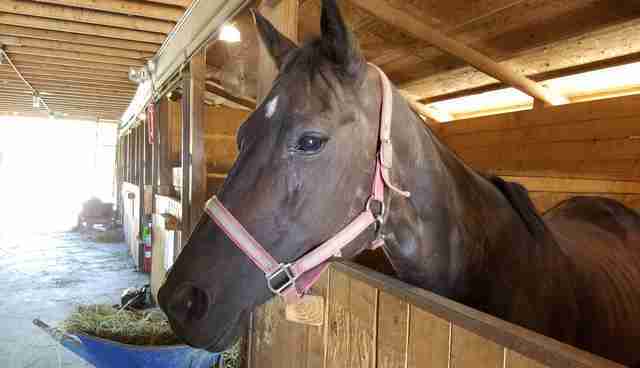 When she got too old to work anymore, Star's family found her a retirement home. They didn't want to do what many farmers do - hand her over to an auction house, where people buy old farm animals to send them to slaughter. 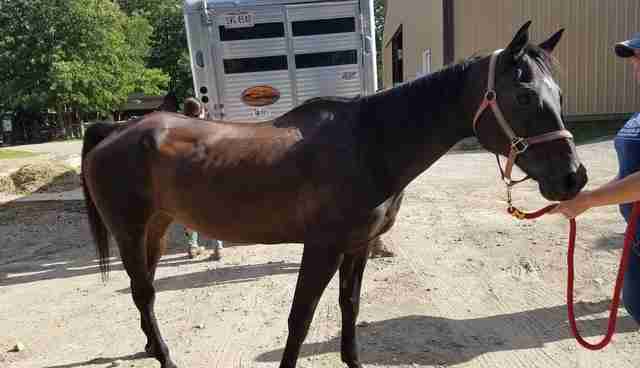 Last week, Star was loaded into a trailer and taken away from her home of many years. When she got out, Star found herself at Happy Trails Farm Animal Sanctuary, in Ravenna, Ohio. 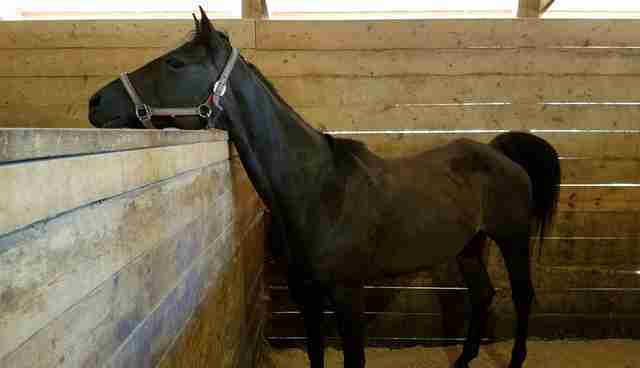 Happy Trails runs the Amish Horse Retirement Program, which works to rescue unwanted workhorses just like Star. 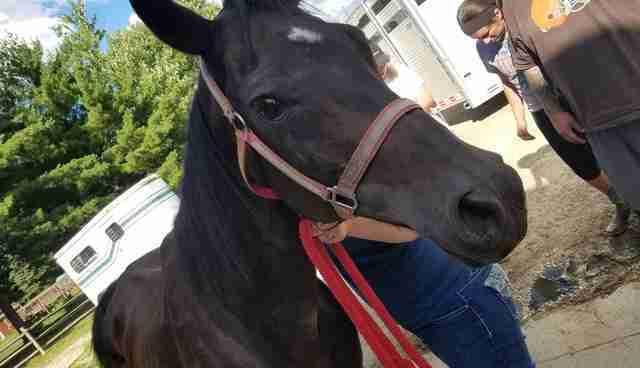 "We have done some outreach with the Amish community, so Amish families may contact us when they are ready to retire a horse, which saves the horse from going to auction," Shawnna Lemerise of Happy Trails told The Dodo. 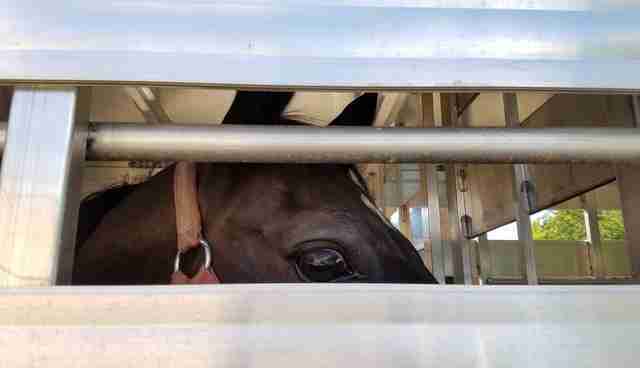 "We wish to help families so that they can see their horses live out their retirement rather than be auctioned, where horses are sold for meat and transported to foreign slaughterhouses." The retired Amish workhorses Happy Trails rescues are often in rough shape after lives of working so hard. 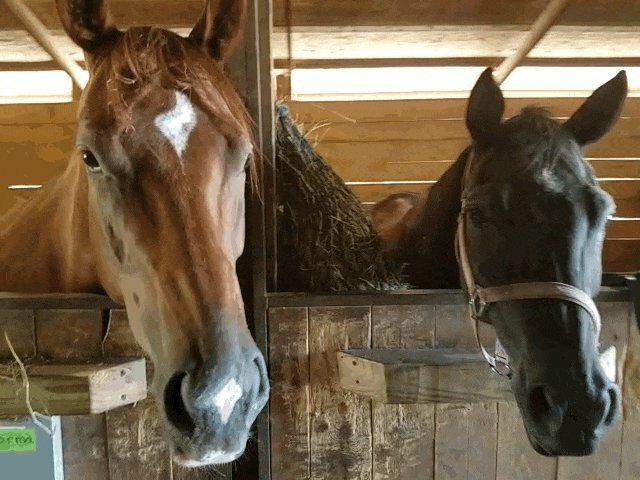 "Though usually shy around people at first, the horses are well-trained and well-mannered from their experience as a workhorse," Lemerise said. 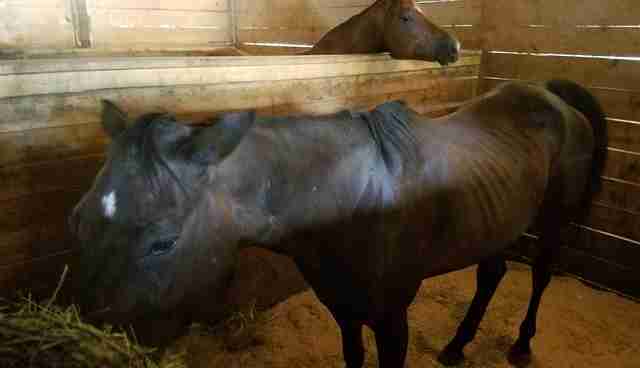 "Star is a little sad," the sanctuary wrote on Monday, when she first arrived. 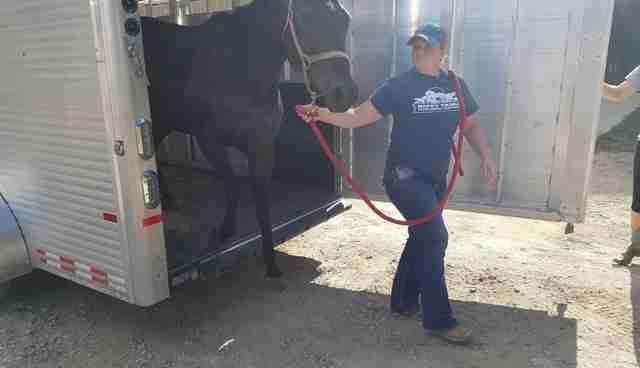 "She is very thin, and will be evaluated by a veterinarian later this week ... Star also will be put on a refeeding program to help her put on weight." But just a few days after her arrival, Star seems to have bucked up a bit after meeting a new friend. 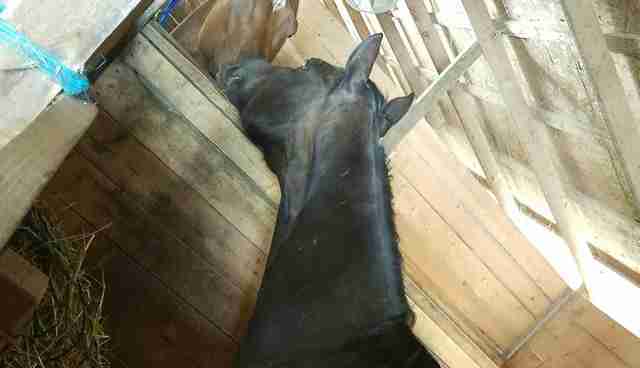 "Her stall neighbor, Dharma, is already helping to give her a warm welcome," the sanctuary wrote. Click here to learn how you can sponsor Star in her happy retirement.